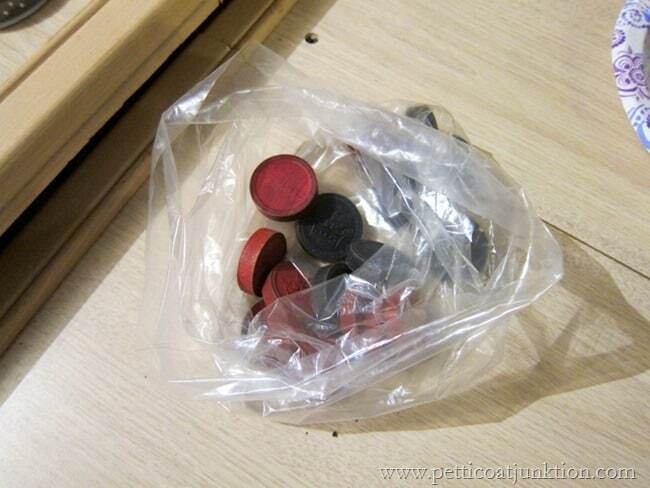 Today I’m sharing an idea that can be re-created with any number of things. 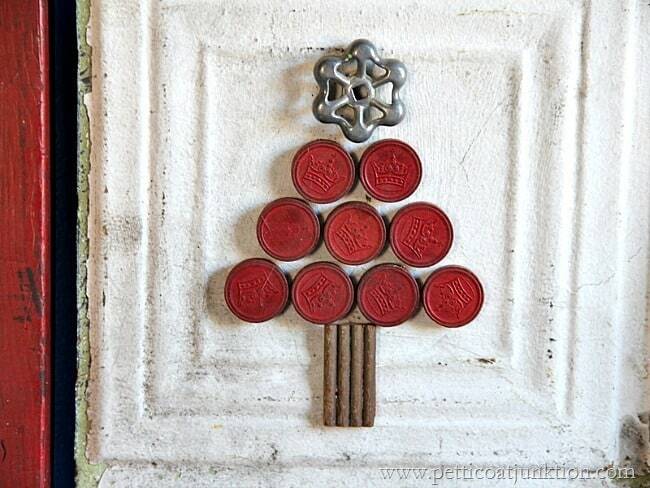 A game piece DIY Christmas tree wall hanging. 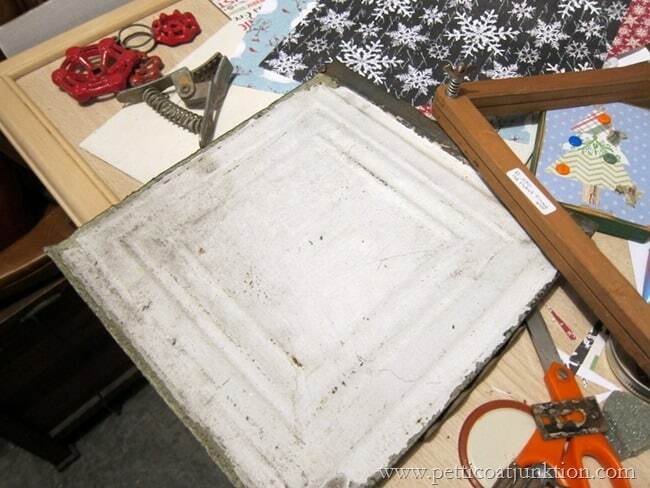 You probably have everything you need to make a similar project just laying around in a junk drawer. Everyone has a junk drawer….right?….I have several. I love my little tree. I know some of you guys are thinking “Why is she making Christmas stuff when we haven’t celebrated Thanksgiving yet”? The answer has to do with being a DIY blogger and sharing ideas with ya’ll. If you see something that inspires you on here, on Pinterest, on Facebook, or on another blog, then you have time to gather supplies and make the craft. 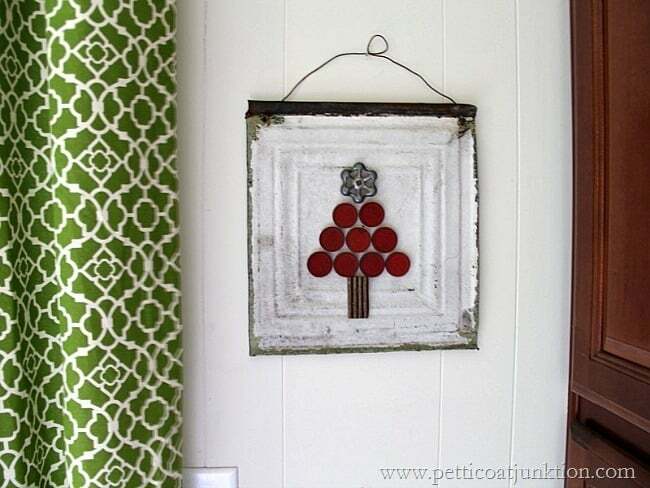 I used this piece of reclaimed tin that has been in the shop forever. And these wood checkers from my favorite junk shop. And a garden faucet and tiny piece of wood from my junk stash. 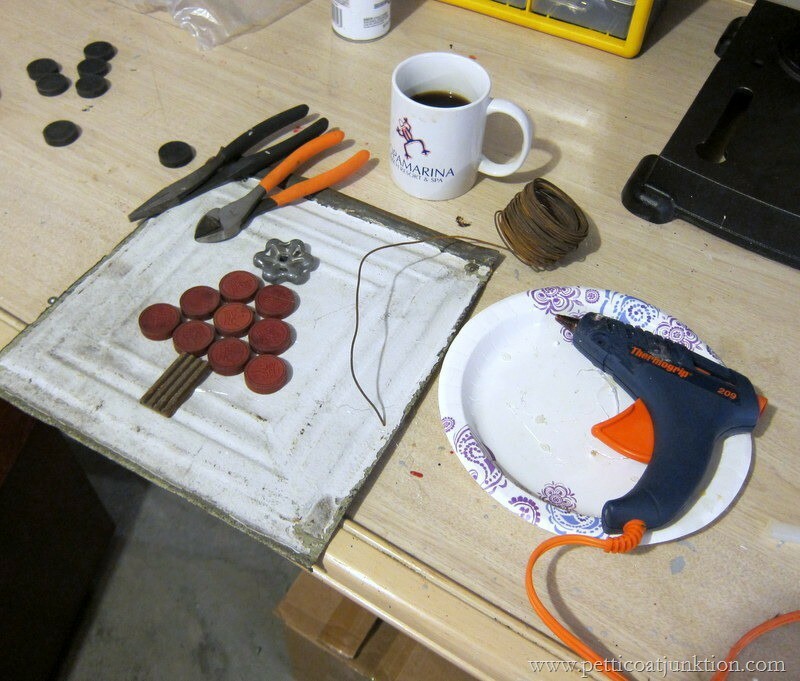 I used the glue gun to adhere everything to the tin….while drinking my morning coffee. Then I cut a piece of wire for a hanger and…. Are you going to try this project? What other things could we use to make the tree? Ladies, I’ve discovered Angie’s secret!!! Look closer at the photo…there it is: BLACK COFFEE! Now I know how u stay so motivated. I gotta start drinking mine black! My junk isn’t as good as your junk! That turned out adorable! That is such a cute tree -you are very clever. 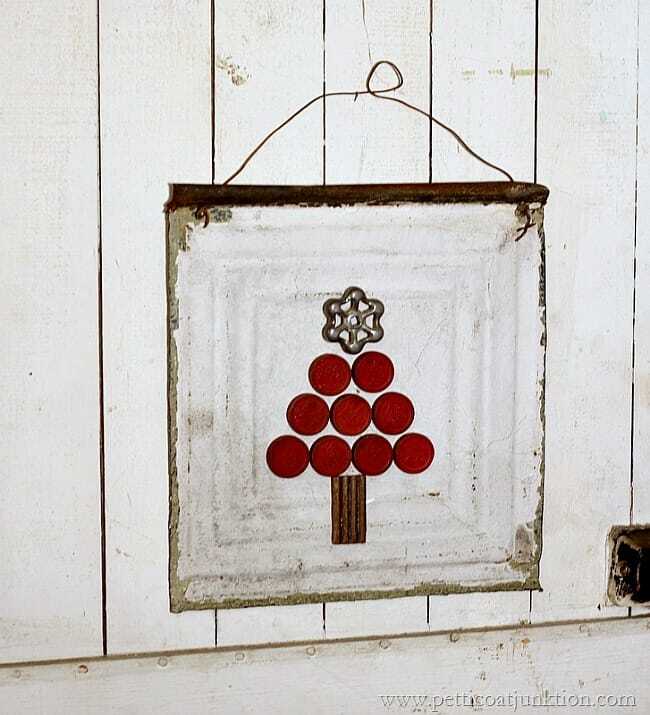 I thought of something else you could put on your branch tree-large rusty bells tied with ribbon or twine. You could hang some ornament made out of bird seed also. The birds would like that. Keep up the good work. I was wondering what you would make with those checkers. I am so impressed! And you even used one of the garden faucet knobs! How clever!! I love everything about this junk creation! That is stink’n cute Kathy. You are so creative! As soon as I saw the picture I knew it was from you. So darling and easy to make. Great job and love the junk!